It’s bound to happen some time to every genealogist. Last week I was over at my grandparents&apos; house and I brought over my notes and laptop to show them the records and documents I&apos;ve found. Though they don&apos;t have a computer or internet access, I had made copies of everything and saved them to my hard drive. They were thrilled to see things such as their parents and grandparents&apos; names on Censuses and were amazed when I showed them photos of the actual ships some of our ancestors immigrated on. My grandma dug up some old photos of her great grandparents that I had never seen before. They told me stories about their childhood and what their relatives were like. Though I remember some of their stories, there were others I had never heard before. I know I was having a lot of fun as I was acquiring more information about my ancestors but they were more than happy to share and it was a great time. I have a question (though)…Recently I&apos;ve discovered one of my ancestors wasn&apos;t a good person. While I know this is vague, it got me to thinking about all the terrible acts that can and have happened, such as abuse, robbery and murder. My mom said that every family has a few skeletons in their closet and I&apos;m sure it&apos;s true. But I guess I&apos;m just wondering how do you overcome an ancestor who was simply awful? What do you do when these sort of skeletons come up? Maybe it&apos;s because I&apos;ve just found out and I don&apos;t know how to react. As I&apos;ve researched my family I&apos;ve found war heroes, founders and first settlers to places, I honestly never even thought about finding a miscreant. I know I&apos;m not the only one who has made such a discovery, so if you have any advice on making peace with a dishonorable ancestor, I&apos;d appreciate it. But for someone relatively new to genealogy, I can imagine it’s a bit of a jolt to uncover an ancestor’s bad behavior. It seemed to me that Elyzabeth’s email didn’t require an answer as much as an impromptu formation of a support group. It helps to hear that you are not alone. Facebook was the logical choice for posting my support group invitation: “I have a podcast listener who just found a doozy of a bad guy in her family tree (think murder, robbery, abuse). Have you ever found anyone like that in your tree, and if so how do you feel about it? 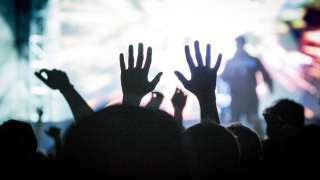 Have you handled it any differently than they "good guys?" Thankfully my genealogy Facebook friends answered the call. Shelly’s answer was straight and to the point: "They have to come from somewhere." Professional genealogist Jana has pretty much seen it all: "When you have a "Madame" and a counterfeiter in the family and hubby has a bigamist, nothing surprises you. <G>"
Allum was quick to see the bright side: I would think &apos;Finally, someone documented!&apos;"
Diana shared her similar experience: "I recently found out that my great uncle, Charles, was put in prison for arson and the attempted murder of his own brother-in-law, John. (John had inherited the family home on behalf of his wife, and Charles was pretty upset about it, so he tried to burn the house down. Luckily no one was hurt, and Charles plead guilty. When I first heard the story and starting locating newspaper accounts, I was shocked--this particular branch of the family tree was fairly religious, so I never expected something like this from them. Now, knowing that no one was hurt and the guilty party was punished, I&apos;m excited to have an interesting story to tell. :-)"
Teri has learned over the years that we can never know the real story, no matter how bad things look: "My aunt who was a very avid genealogist, insisted that I keep it a secret that my great, great, great grandmother committed suicide while in a hospital - after her passing, I did add this information and uncover the part of the death certificate that said suicide. I choose not to pass judgement and just report the facts as I know them. No one really knows what motivated people to do what they did ....."
Angie chimed in: "My mom has an uncle who was known as "The Strangler" and was part of the original Dirty Dozen. He was also a spy during the war, because he looked German. He learned German and the Americans used that. He and his brother robbed a bank, so they got the choice of prison or the Army. One chose prison, one chose the Army. My husband has a relative who was Pancho Villa&apos;s right-hand man." Steve found that even if you’re not looking for it, stories often find you: "I had a great great uncle who killed his wife and went to prison for years. At some point he escaped prison, changed his name, moved to Colorado and became a sheriff! He retired a sheriff and never saw prison bars again... I would have never known until his granddaughter contacted me for information on her &apos;real&apos; family lines." Kevin reminds us that the tide can always be changed: "I have! But I can not judge what they did or how they lived. Times are different. If you have good morals and try to live by them that is how you will be remembered." According to Nancy, the truth will set you free: "I haven&apos;t found that...yet. But if I do, I&apos;ve already made a personal commitment to truth. If I am hopeful that what I find about the past is the truth, then it only stands to reason that I owe as much to those who will come along behind me. Besides, as I tried to teach my children as they grew, 1.) the truth will ALWAYS find you, and, 2.) that truth is so liberating -- hard as it may be to face, it is what it is, and that is very cleansing and freeing. That said, I don&apos;t think any gratuitous facts should be put out there just because they happen to be true, especially with living persons. I think that is just malice. I think, too, that there are facts and is truth. For instance, I love my husband very much. That is a fact. And it is also a fact that I would just love leaving my own at-times-ugly past off my pretty little tree. But.... The TRUTH is that I was married before -- more than once and the only way our tree will be not only accurate but true, is for me to be diligent and uncompromising about the facts as they happened. As Elsie May (my beloved grandma) used to say, "if you&apos;re gonna have skeletons in your closet, you may as well make them dance." I don&apos;t think she was the first to say that but how right she was! For the record, she also used to say, "the same hot water that softens the carrot, hardens the egg," and my personal favorite, "Come on in, take off your skin, and rattle around in your bones!" Thanks for letting me say a few words." So my answer to Elyzabeth is no, you most certainly are not the only one to make such a discovery. Your “dishonorable ancestor” makes you, what we in the genealogy world call, NORMAL. 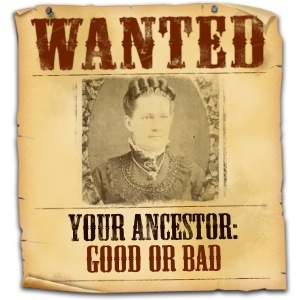 Learn more about how to find good, bad, and ugly ancestors by listening to the free Genealogy Gems Podcast at http://www.GenealogyGems.com.